KIMBERLY PAYNTER / WHYY Mariner East 2 construction site in Edgemont Township, Delaware County. The federal pipeline regulator has issued a notice of probable violation to Sunoco after discovering flawed sections of pipe on a section of the route in Ohio. 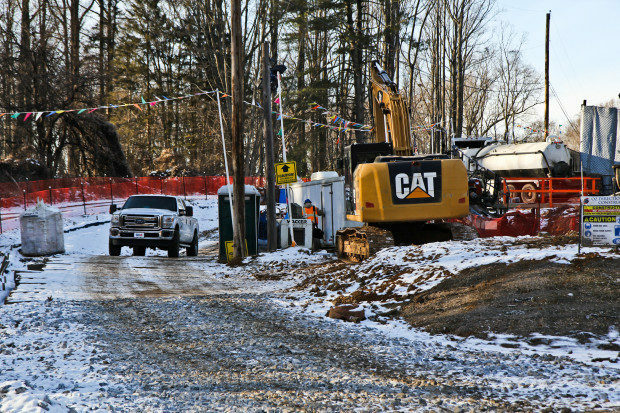 A section of the controversial Mariner East 2 pipeline showed scrapes and a gouge in its coating during construction in Ohio last year, federal regulators said, in a recent statement that has fueled activists’ concern about the safety of the line. The Pipeline and Hazardous Materials Safety Administration issued a “Notice of Probable Violation” to Sunoco Pipeline on Jan. 11 after an inspector discovered the flaws during a visit to the construction site near Hopedale, Ohio, near the western end of the pipeline route, in March 2017.